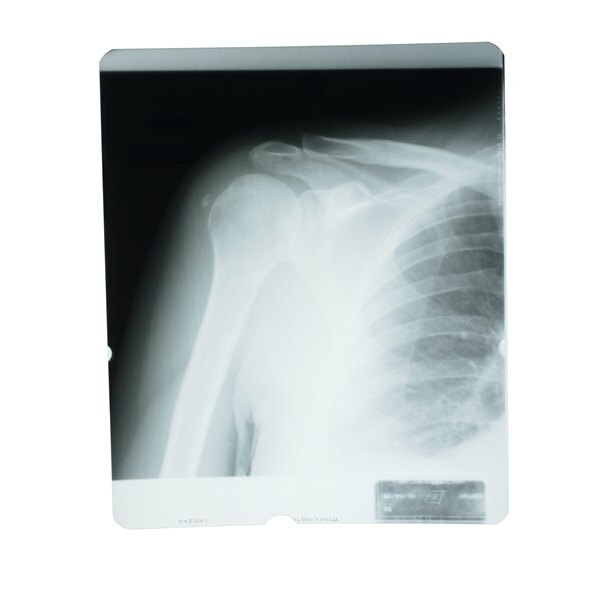 Injuries to the tissue surrounding the shoulder can be caused by severe trauma or repetitive motions. Examples of trauma include a direct blow to the shoulder, a fall onto the shoulder or a sudden pull during exercise. Athletes and weight lifters can experience tears in shoulder tissue due to repetitive shoulder motion. The socket joint of the shoulder, called the glenoid, is surrounded by an auxiliary structure called the labrum. The shoulder itself is a ball and socket joint. Cartilage within the socket keeps movements smooth. Tears to this cartilage are called shoulder labral tears. Symptoms of a cartilage tear include loss of strength, instability in the shoulder, night pain, pain with daily activities, a grinding or popping sensation, and pain when lifting. Minor labrum tears usually take up to six weeks to heal. Treatment for these minor injuries begins with a program of resting, stretching and strengthening exercises, compression, and pain medications and anti-inflammatory medications to reduce pain and improve function of the shoulder. Rehabilitation exercises to strengthen the muscles also may be recommended. Patients with persistent symptoms or more serious tears may require surgery. This depends on the severity of your injury. The general answer is “no.” Until the final diagnosis is made by a doctor, it is ill-advised to continue your workout routine. Bench pressing and heavy weightlifting will aggravate the situation and possibly cause a more severe tear. Consult your doctor to find out what exercises are safe. If surgery is required, your arm will be immobilized in a sling for up to six weeks. A doctor may refer you to a physical therapist to work out a strength recovery program. Most people can start light work which involves no pushing, lifting, pulling or carrying more than 1 or 2 lbs., eight weeks following the surgery. You might require up to six months of recovery before you begin moderate shoulder workouts, and it could take up to one year before you may do overhead lifts or heavy workouts with your shoulders. Do not try and rush your recovery process.